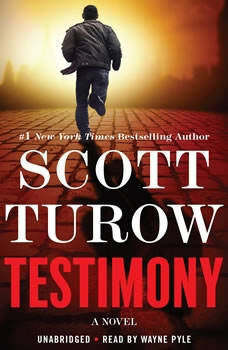 From Scott Turow, #1 New York Times bestselling author and "one of the major writers in America" (NPR), a page-turning legal thriller about an American prosecutor's investigation of a refugee camp's mystifying disappearance.At the age of fifty, Bill ten Boom has walked out on everything he once thought was important: Kindle County, his law career, even his wife. Still, when he is tapped by the International Criminal Court-an organization that prosecutes crimes against humanity-he is compelled by a mystifying case. Over ten years ago, in the chaos following the Bosnian war, a Roma refugee camp vanished overnight. Now a witness has finally stepped forward: Ferko Rincic claims that armed men marched the camp's 400 residents to a cave and then set off an avalanche with a hand grenade, burying them alive. Only Ferko survived.Boom's task is to investigate Ferko's claims, taking him from the Court's base in Holland, to Bosnian villages, to secret meetings in Washington, DC, as he sorts through the alliances and treacheries of those involved: a disgraced US major general, members of the US military, the brutal former leader of the Bosnian Serbs, Ferko's seductive barrister, and of course, Ferko himself, on whose testimony the entire case rests-and who may know more than he's telling.